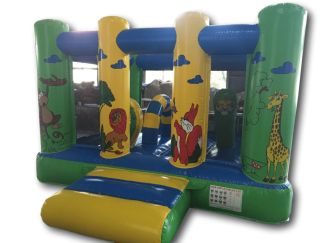 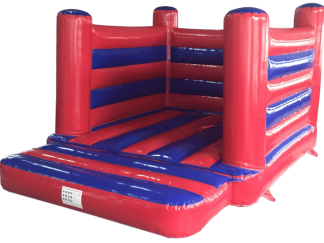 These great and very well made bouncy castles are good for smaller children or indoors, with there bright colours, great looking hand-painted artwork and Quadruple stitching where required in high wear locations making your bouncy castle look great and last longer. 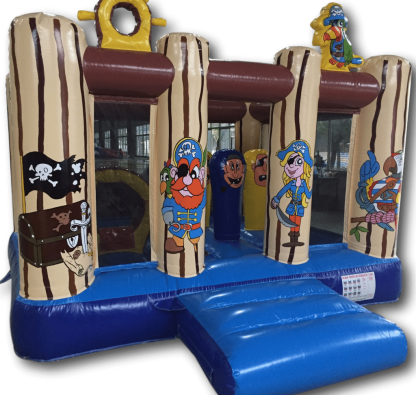 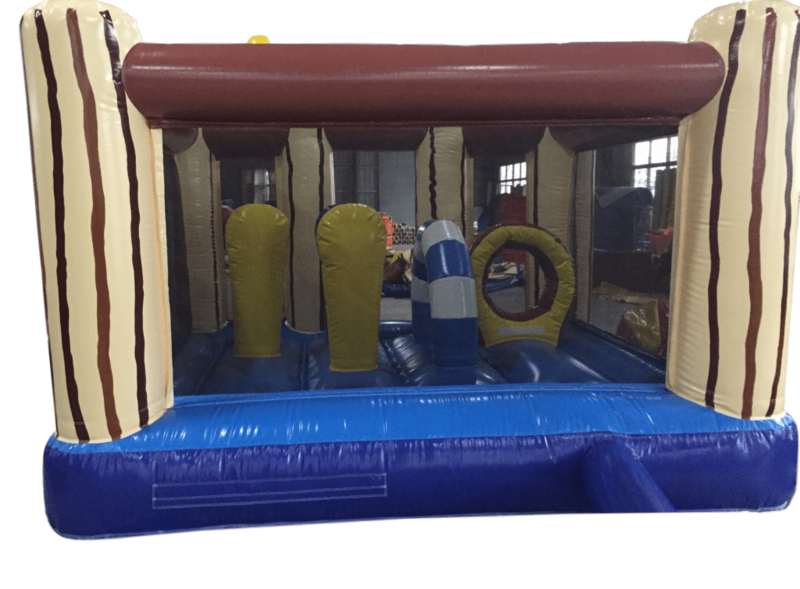 Pirate midi bounce Castle with netted sides are seen by parents as good bouncy castles as they can see their children all of the time from all sides. 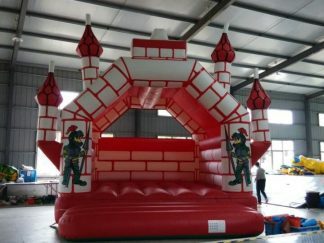 This has the added benefit of making them lighter and smaller so the hire company can fit more into there van. With Painted Biff and Bashes and inflatable hoop, its just not a Pirate midi bounce castle its a play zone and Pirate midi bounce castle. 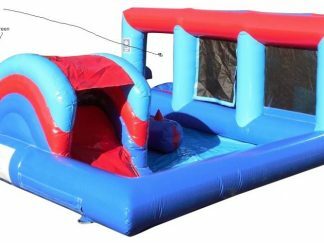 With small water drain holes and 2 x zips one in the rear and one in the front step for fast deflation these bouncy castles are manufactured to perfection. 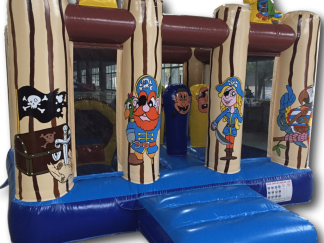 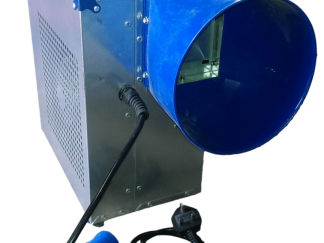 All of our material is made to EN14960, we add mould and fungicide inhibitor to keep your inflatable Pirate Midi Bounce in a top condition for longer.